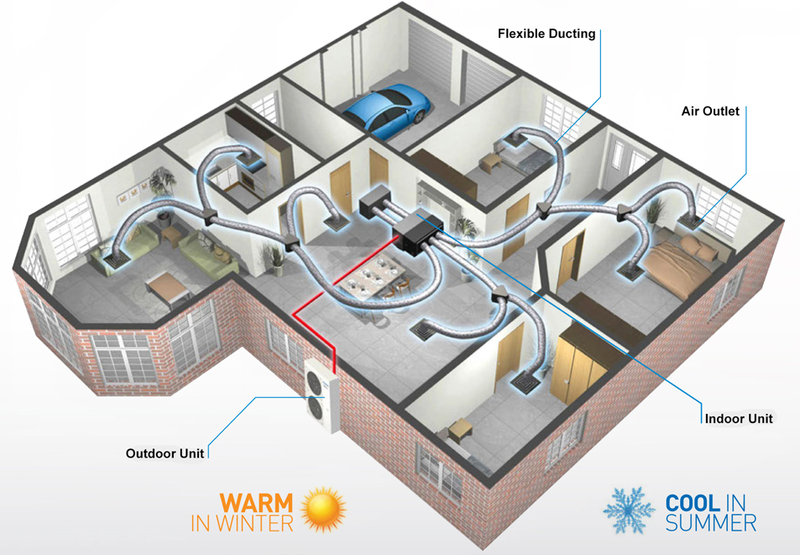 Cold Bear Air provides you with perfect heating and cooling solutions. Cold Bear Air Conditioning specialize in refrigerated types of air conditioners including single split systems, multi split systems, ducted refrigerated systems and VRF/VRV systems. We also supply and install evaporative cooling systems and ducted gas heating systems. Also check our air conditioning service and repair page. Split system Air Conditioner refers to a refrigerated type air conditioner consisting two or more main operating components. One component is the evaporator (commonly name is indoor unit) which can install inside the room. Another one is the condenser (commonly name is outdoor unit) which locates outside the building. So refrigeration pipes or copper pipes can use to connect the two. What is a multi split system? 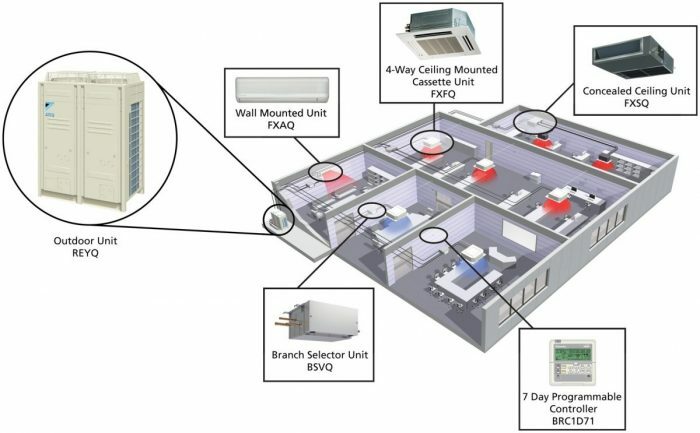 Multi split air conditioner is a split system that consists two or more evaporators (also called indoor units) connecting to one condenser (also called outdoor unit). Each evaporator (indoor unit) can operate individually. So that people who want the split systems installed throughout their homes to have less number of outdoor units can choose Multi split systems. What is a ducted refrigerated split system? Ducted refrigerated split air conditioner provides unobtrusive and comfortable cooling and heating solutions for you house. 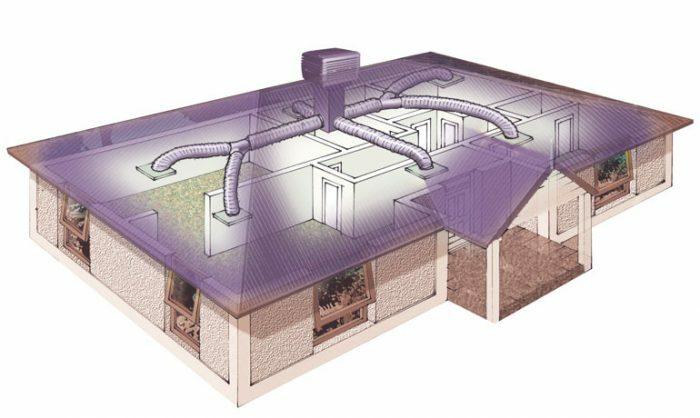 Similar to other split systems, it consists of an indoor unit and an outdoor unit connected by the copper pipes. In summer time, Indoor fan coil unit draws warm air in and cools the air before it gets blown out into each rooms through ductwork and diffusers. The heat absorbed then transfers to outdoor unit and gets dispersed. Thus the house achieves cooling. Similar working concept applies when the system provide heating, the difference is that the indoor and outdoor work in the opposite way. 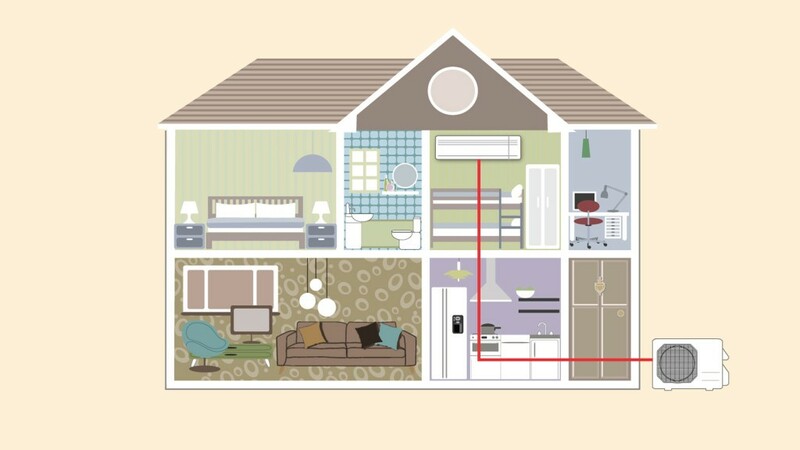 What is a Gas Ducted Heating System? 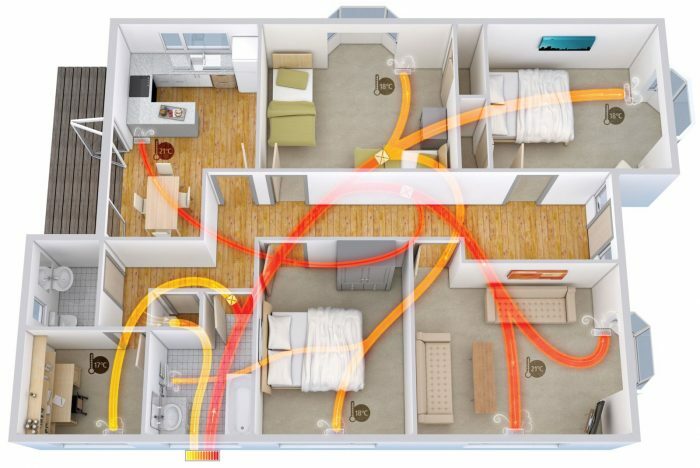 A Gas Ducted Heating System is a ducted heating system that uses gas combustion process to heat air up before delivering it to each room through ducts/vents. It is generally installed in house roof or under house floor depending on spaces available. Evaporative Coolers are generally installed on top of your house roof. It draws hot air through specially designed moistened pads. The air is cooled by evaporation process. A fan then blows this cooled air through ducts/vents to your home. Hot air in the house is forced out through open windows and doors providing your entire home with a compete change of air at least every two minutes. VRV is standard for Variable Refrigerant Volume. It is a system that is designed for commercial use. 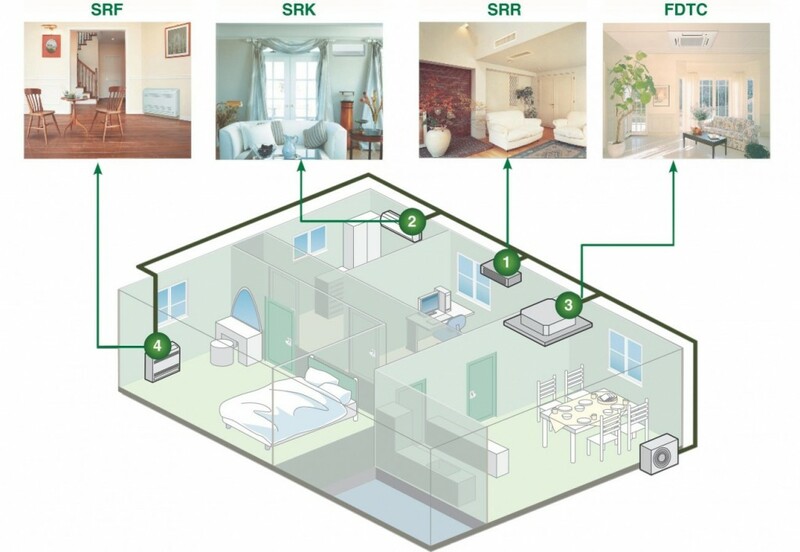 VRV system consists a large outdoor unit that serves multiple indoor units. Each indoor unit uses an electronic liquid expansion valve to control its refrigerant supply to match the demand of the space it serves. The outdoor unit also varies its output to match the demands of the indoor units it serves. Thus, at any point in a system there will be a variable volume of refrigerant flowing.